APPLICATION PENDING - SUPERB CENTRAL LOCATION. Without a doubt you will be impressed from the moment you walk in. 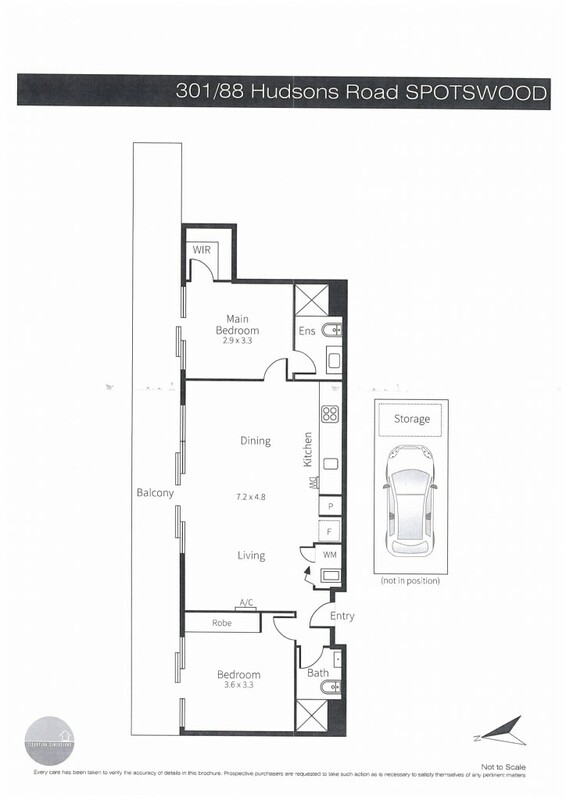 This bright and spacious near new top floor apartment offers the best of everything. Comprises a large open plan living room with timber floors, split system heating and cooling and access to the huge balcony which has superb views of the Westgate Bridge and CBD, 2 double bedrooms, walk in robe and ensuite to the master and built in wardrobes in the second bedroom, both bedrooms also have access to the balcony, stylish well appointed kitchen with stainless steel appliances including gas cooktop, electric oven and dishwasher, European laundry, intercom entry, off street undercover carspace and over bonnet storage cage. Situated in the Heart of Spotswood with cafes at your front door, 100m walk to Spotswood station, supermarket only metres away and easy access to the Westgate Bridge and Freeway.